In the arena you should be the only part of the team that knows what is happening or where you are going and nothing breaks the confidence or concentration of a horse more effectively than not bothering to prepare him for a movement. Your horse is taken by surprise and goes into self-preservation mode when he sees the wall looming up in front of him! We use the half-halt to bring the horse to attention; to prepare him for things to come; to make him aware that something is about to happen. It is absolutely vital that you prepare your horse in sufficient time to be able to allow him to carry out the movement AND whilst you are still in that movement, prepare for the next. Not easy, but for me the revelation came when calling a test many years ago. 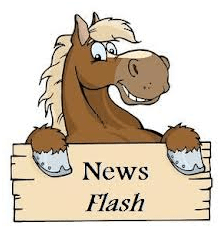 If you were calling a test for friend and on the point at which they reached A you shouted out “A Enter at Working Trot”, they would not be able to turn into the arena on time and they probably wouldn’t be your friend for long! Here’s what to do … equate in your mind the way you would call a test to the time you and your horse need to prepare for each movement.